Giving your house on rent allows you to earn extra money on your home investment. However, this earning is part of your taxable income and is treated as 'income from house property' for taxation purposes. Based on the gross annual value of the property, you have to pay property tax, on which you can claim a rebate. According to the Finance Bill, 2016, a sum equal to 30 per cent of the arrears of rent or the unrealised rent will be allowed as deduction. 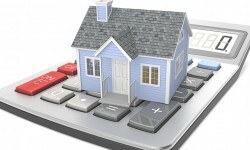 If you have taken a loan to purchase the property, you can avail of other tax benefits as well. For example, you can claim a rebate on the interest you pay on your home loan. Besides, if the rent you receive is less than the amount you pay as your equated monthly instalment, or EMI, you may also avail of certain rebates, against loss from property let out. Are You Getting The Right Rental Yield?